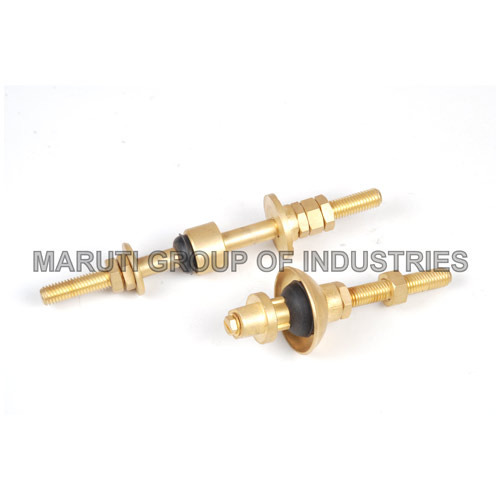 We are a trustworthy manufacturer, supplier and exporter of Brass Gas Parts. Under the guidance of sedulous professionals who abides by set industry norms and guidelines, we manufacture these parts to attain highest benchmarks of quality. Furthermore, we use high-grade metals, alloys and other components in the production process to ensure high strength of the finished terminals. We are an ISO 9001:2008 certified company, established in the year 2007, our company, Maruti Metal Industries is widely known today as a professionally managed organization, which is one of the leading manufacturers, exporters and suppliers of a wide array of Brass Sanitary Parts, Brass Ceramic Cartridge, Brass Wall Mixer Leg, Brass Bush, Brass Doom Nuts, Brass Spindle Valve, Brass Cross Handle. Our products range includes Ceramic Valve, Brass Ceramic Cartridge and Brass Sanitary Fittings. The products are made from best quality brass and are widely known for their strength and durability. As a result, we have been able to garner a vast clientele for ourselves, which is spread across several locations in the world. Our company is known for ensuring timely delivery of products in a highly professional way. Our team of professional has been working day and night to ensure that world-class quality is produced. That is why, today, customers all around the world appreciate us and our products because of the safety features, best designs and accuracy that are inherent qualities of each and every product. We export our products to the markets of Europe, Australia, New Zeland, Gulf countries, Middle East. Some of our key customers are ESS India Ltd and Hi-Tech.